Just a reminder, you may have a payment about to be due. This may be your only notice. 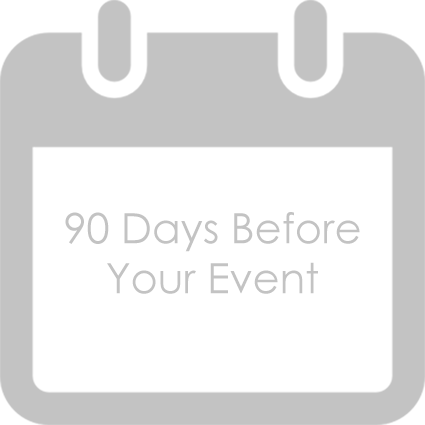 Remember, 90 days before your event date, no less than half of your remaining balance is due. The remaining balance is due 30 days prior to your event date. · Half of your remaining balance is due. · Schedule your bridal portrait session. · Finalize lighting and decor options. Click here to see more of the 90 day Checklist.